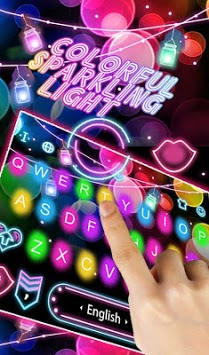 Free download of Color Sparkling Light keyboard theme with colorful background. Customize your keyboard with Colorful Sparkling Light keyboard theme and enjoy smart typing with more fun. Colorful Sparkling Light keyboard theme is a new free keyboard theme which will make your device looks stylish and amazing. Don’t miss this unique theme with beautiful background, now it is available for FREE! 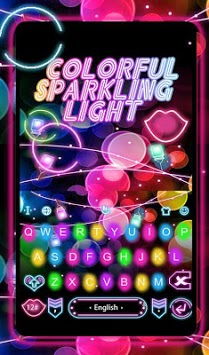 💕Colorful Sparkling Light keyboard theme is a awesome theme with colorful keys and Colorful Sparkling Light background. If you are a fan of Colorful Sparkling Light, don’t miss to experience this cool keyboard theme, which will amaze you, since it is designed for a immersed experience while you are typing. Download it and enjoy your trip of themes right now. This keyboard is suitable for almost all SMS or Messenger apps. 🌟How to use Colorful Sparkling Light keyboard theme? Note:This keyboard theme only works on Touchpal keyboard. You need to download TouchPal keyboard first. 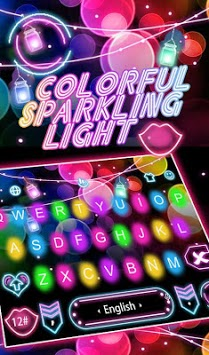 Let’s get Colorful Sparkling Light keyboard theme and share it to friends right now !